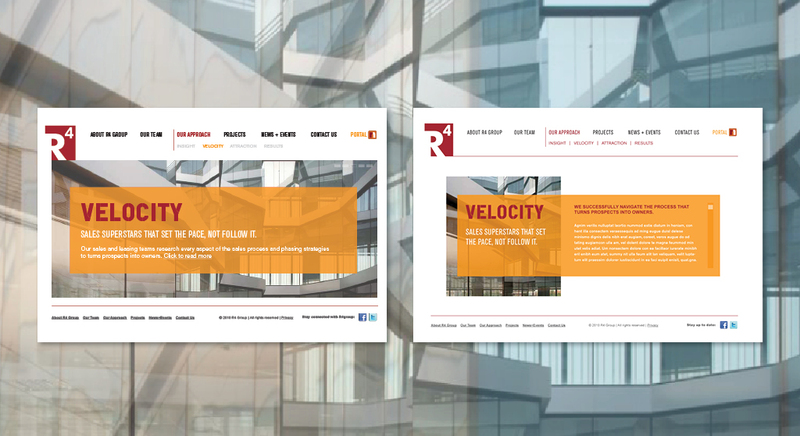 The partners of sales and marketing firm R4 hired Delucchi Plus to develop a complete company launch, including name and brand positioning, vision, mission, and messaging, as well as all visuals in support (from logo to collateral materials, brochure, and website). 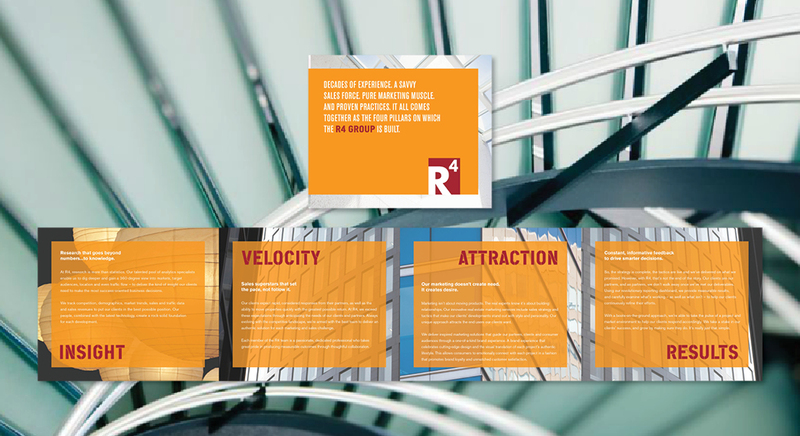 Our team developed the brand story and the four key marketing strategies designed to drive results and embody the name R4: Insight, Velocity, Attraction, and Results. With the brand in place, our team designed an outreach program to help generate business leads through social media, search engine optimization, and digital public relations. 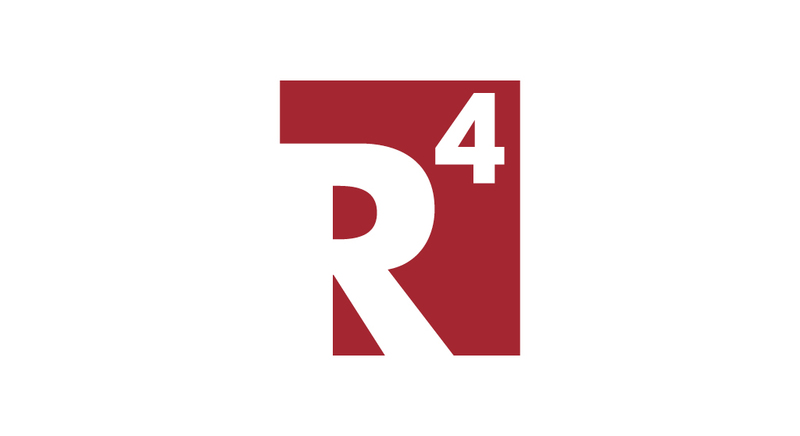 After six months of developing the brand, we successfully launched R4 and a new business line for an existing client. Today, this brand is working with more than 50 developers to manage their sales & marketing programs.